Sometimes there is a piece of art that speaks to you – perhaps it even embodies ideas and feelings that are important to you and your life – and you know you want it front and center in your home. But how best to accomplish this? 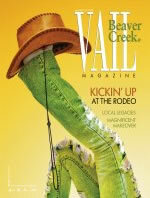 And, just as importantly, how to have it work with the overall design of your room, your home? "MAGNIFICENT MAKEOVER, SUMMER/FALL 2009 EDITION"
This Saddle Ridge enclave was originally built at the end of the road in Beaver Creek in 1988 as a corporate retreat where the executives and clients of the Shearson Lehman/American express financial firm could hobnob while indulging their inner cowboys. 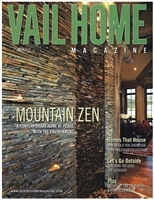 "MOUNTAIN ZEN, SUMMER 2008 EDITION"
A contemporary home at peace with the environment. 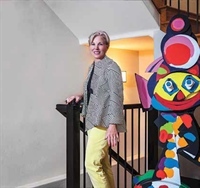 "IN THEIR ELEMENT, SEPTEMBER/OCTOBER 2000 EDITION"
The principles of Feng Shui give a Boulder, CO family's home harmony and balance. 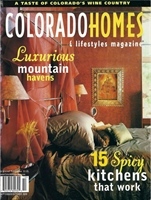 Various publications and magazines featuring interior design work of Patti Dixon.